More than one hundred people gathered on Sunday 12 February to celebrate the eighth anniversary of the Penya Barcelonista de Vallmoll, as well as enjoying the traditional ‘ceballotada’, or ‘onion festival’. The club decided that this year they would endow the World Confederation of FC Barcelona Penyas with the ‘Ceballot d'honor’. 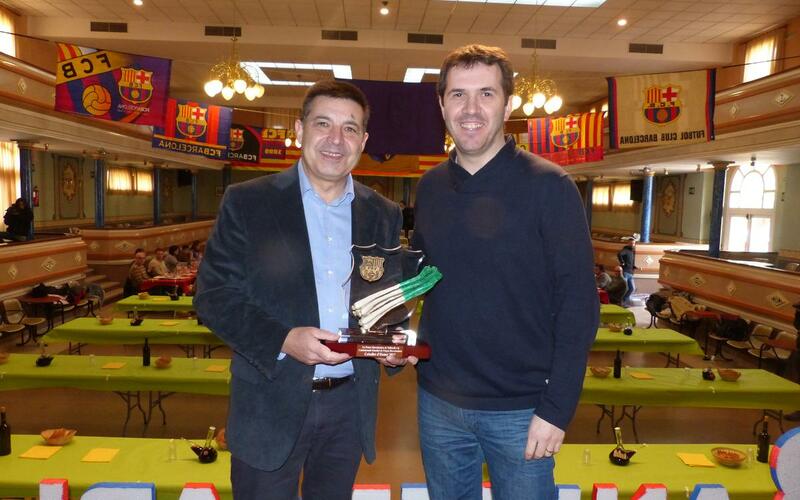 The president of the penya, Jordi Vilarrubí, presented the distinction to the president of the Supporters Clubs World Confederation, Antoni Guil. The event took place in the Centre Cultural de Vallmoll and was attended by the director of the Social Commission responsible for supporters clubs, Dani Sala, former player Salvador Sadurní and the mayor of Vallmoll, Josep Lluís Cusidó.